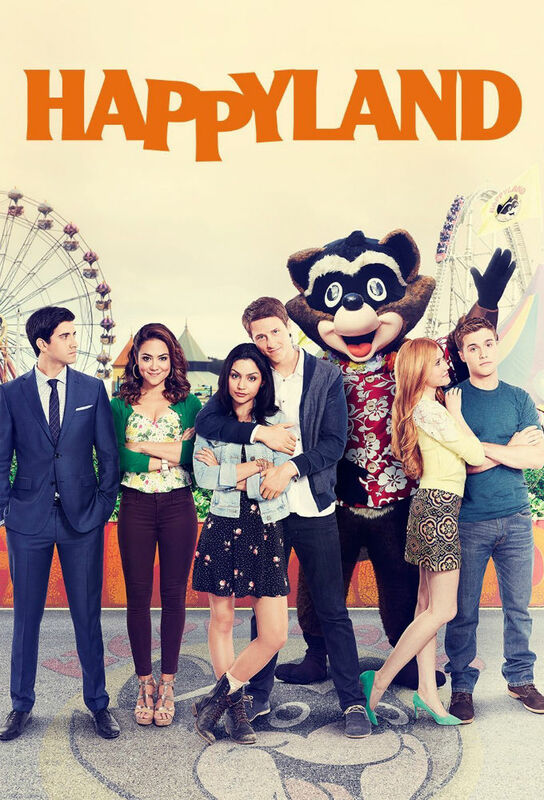 James Chandler, president of Happyland moves back to the theme park with his family in tow. Lucy is on a quest to get away from the parks manufactured happiness and be part of something real. Elena reveals a secret to Lucy. Lucy and Ian must pass character training together to continue getting paid, and with a looming eviction Lucy is highly motivated Ian however is not. At an employee only night in Happyland, Lucy is on an emotional rollercoaster after catching Harper with Ian. Though her attempts to repair her Happyland family fail, a new crush Noah might take the pain away. Lucy and Noahs first night out becomes an unwelcome double date when they run into Ian and Harper. Noah make weekend plans to visit his college, but Elena forbids it. Meanwhile Will and Ian bond over their shared suspicion that Noah might not be the prince charming hes claiming to be. Will and Lucy consider the true nature of their relationship. A Chandler family friend holds a super fan wedding at the park, but an unexpected guest throws a wrench in Elena and James budding romance. Its the big 4th of July parade in Happyland, but a natural disaster puts a damper on the festivities, forcing everyone underground and all the drama to the surface.